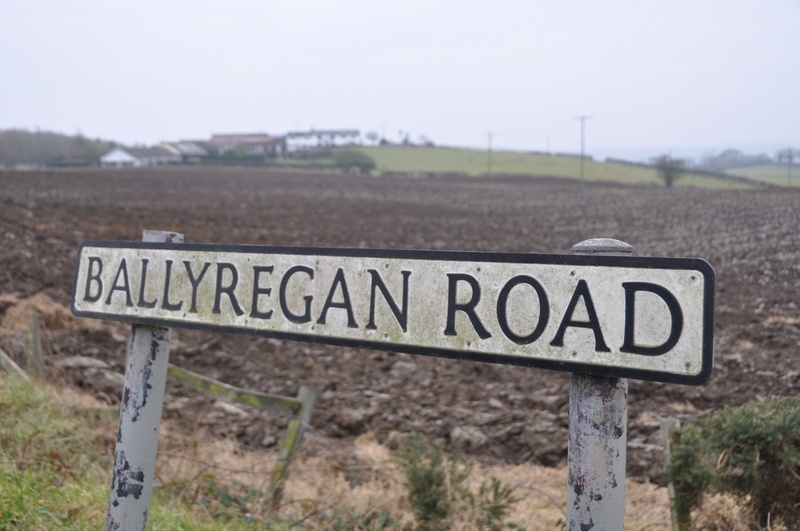 Today’s post is about Ballyregan, a townland near Dundonald, County Down. Where does the name come from? It probably means “O’Regan’s townland”, which in Irish would be “Baile Uí Riagáin”. (Read more on the PLACENAMESNI website). 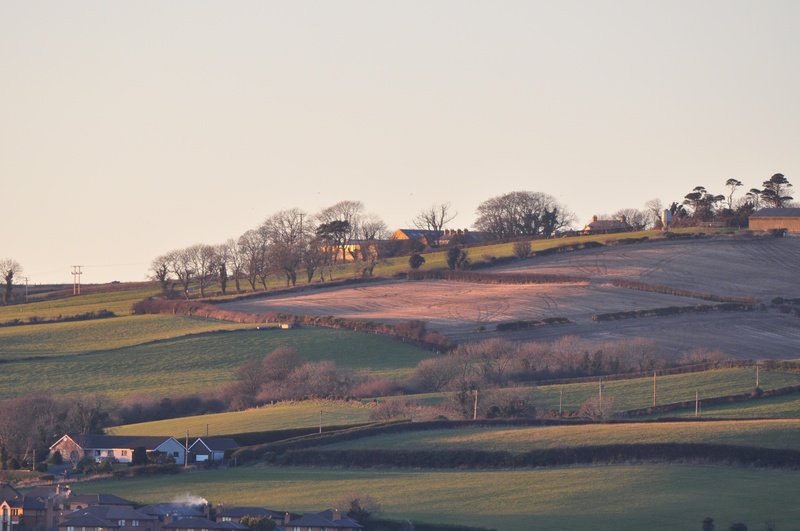 The townland stretches up a hillside north of Dundonald, covering a narrow slice of rural land on each side of the Ballyregan Road. But that’s not all. Ballyregan also has its urban side. Turn right or left at the bottom of the hill, and you are in the town of Dundonald, but still in Ballyregan. The townland includes the Asda supermarket, the village shops, the library, the clinic and the houses in Cherryhill….. and most importantly, the Ulster Hospital. Why so important? I was born there. 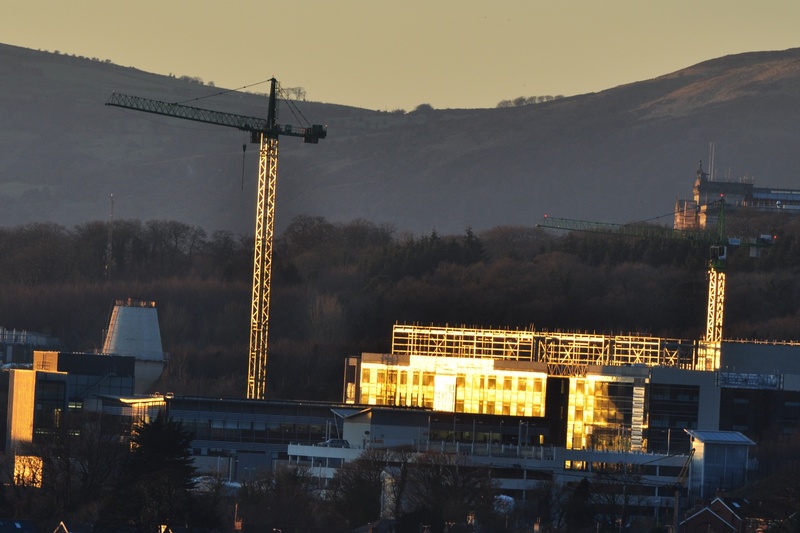 This photo shows an unusual view of the hospital, during the construction of new wards in 2015. Gorgeous landscape. What a lovely place to call home. It looks even better in summer. Amazing photo of the townland. It looks like a pastel drawing!